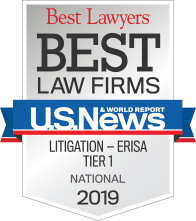 Angel represents plan sponsors, fiduciaries, and service providers in ERISA class action and single plaintiff lawsuits nationwide. She has a broad range of experience in employee benefits law and fiduciary breach matters. Angel has counseled and defended clients in matters involving employer stock option plans, employee stock valuation, inclusion of employer stock in retirement plans, investment of plan assets, management and recordkeeping fees, executive compensation arrangements, disability claims, and church and governmental plans. 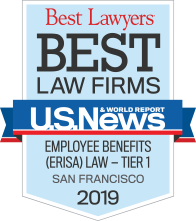 She has managed employee benefits and ERISA cases in all stages of litigation in state and federal courts, and before arbitration panels and administrative agencies. Along with defending her clients in litigation, Angel counsels public and private employers and non-profit organizations on a variety of issues, including those related to fiduciary responsibility, prohibited transactions, benefit claims, disclosure obligations, and qualified domestic relations orders. She also represents plan fiduciaries in Department of Labor investigations. With her legal and business background, Angel is able to provide practical advice for clients that does not inhibit business operations and consequently helps minimize the need for costly and potentially unnecessary litigation.